Prior to the advent of cloud-based platforms, IT was burdened with great inefficiencies that are often caused by technical problems and other incompatibility challenges. However, the rise of Cloud has made networking with large groups of remote servers a true convenience. Rather than depending on a local server or personal device to handle your applications, the Cloud services you find in both Microsoft and Google enable you to not only share data-processing tasks, but also store important group data and documents in a secured and accessible place. Business owners, sales personnel, and even students love cloud-based platforms for their agility and mobility. According to the Cloud Industry Forum, "the number of first-time cloud computing users has increased by 27% over the last 18 months. The organization expects that, by the end of 2013, over 75% of UK businesses will be using at least one cloud service formally..."
Office 365 and Google Apps are two rivaling cloud-based platforms with many users and happy supporters. As a proud product of Microsoft, Office 365 offers a well-organized control panel dashboard that is visually pleasing and easy to operate in every respect. By offering its users cloud-powered connection, collaboration, and control, Office 365 brings businesses together with its business-class email and shared calendar systems so people can stay in sync and on schedule no matter where they are. Google Apps, on the other hand, has been widely received for its easy operation and reliable services. Like Office 365, Google Apps also feature personal emails and calendars for people to manage and delegate tasks with ease. The cloud-based platform offers custom formatting and amazing collaborative opportunities. SEE ALSO: How to not be afraid of your business technology. 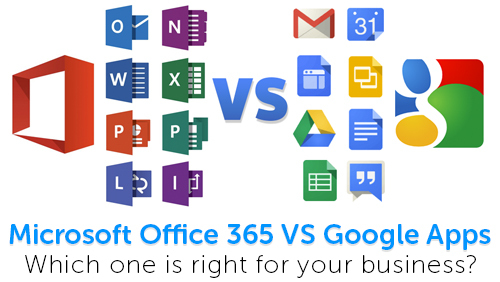 Despite the apparent similarities, Office 365 and Google Apps also have their unique characteristics that mark their differences. For example, although email archiving is a popular feature of both cloud service providers, Google Apps for Vault runs about $10 per user month, while Office 365 Enterprise E3 costs $20 per user. However, Office 365 email archiving tool also includes hosted voicemail support and other captivating business intelligence features. So, your decision between the two services really depends on the needs of your business and customers. When it comes to price, Google Apps definitely has the upper hand. Google Apps has a simple and easy-to-understand pricing for their customers. Regardless the size of your company, the standard Google Apps for Business package is $5 per user per month or $50 per user per year. In contrast, Office 365 offers at least 6 plan options that can be extremely confusing for businesses who are simply looking for a solid IT solution. As a review published in techpublic.com shares, for a company with 25 users or less "Microsoft's small business plans provide a good scale of features for $5 or $12.50 per user per month (or $60/$150 per year). A midsize business plan for 300 users or less comes in at $15 per user per month, and there are hosted email/enterprise plans which cost $4, $8 or $20 per user per month and include different options." While Microsoft may argue that the tiers of fees are designed to offer greater flexibility and better services, the complexity of the plans frustrate user experience, making things much more difficult especially for first time-users. Google Apps boasts of its extensive browser and device support. With everything done from the browser, Google Apps offers simple-fixed license no mater the size of your deployment. Nonetheless, Google Apps is only reserved for those with a Google account. In fact, Google will even press for more personal details via Google+ to collect demographic information and analyze your online behaviors. Ownership transfer for documents is also difficult for those with different domain names. Office 365, on the other hand, makes file sharing and control extremely simple, allowing users to easily sync files with PCs and devices virtually anywhere. Finally, users may need to revert to Office 365 for complex documents. For companies that rely heavily on Excel, abandoning Office altogether may not be a feasible option at all. Yet, Google docs is known to handle the basic and even slightly more proficient documentation. The learning curve for Google docs has also been relatively low. Even if you are not completely tech-savvy, you will be able to master Google docs in no time. Office 365 or Google Apps? You Decide! In many ways, Office 365 and Google Apps feature great savings and flexibility to make sharing and working together a seamless experience for everyone. As businesses look to maximize performance and productivity, cloud-based platforms will only continue to grow in popularity as more organizations recognize the potential benefits behind these powerful services. Hello! I am the Sales Manager and one of the Senior IT Consultants @ EnvisionIT Solutions. 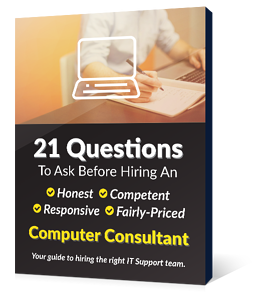 I help our clients envision great technology solutions that help their businesses grow. Let me know if you have any questions. I am an avid outdoorsmen who loves fly fishing and camping.